LUCIA, pregnant with the child of a Watcher, has escaped the clutches of the unhinged fire god. Her powers are dwindling as she goes forth to fulfill a prophecy that will keep her baby safe… but could mean her demise. 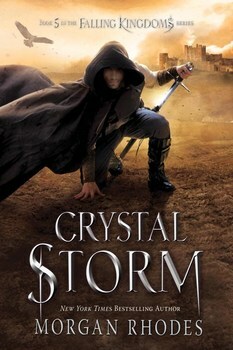 Book 5 in the epic high-fantasy series by New York Times bestselling author Morgan Rhodes. An epic clash between gods and mortals threatens to tear Mytica apart…and prove that not even the purest of love stands a chance against the strongest of magic.